The Moose Preserve fits like a pair of well-worn work gloves. 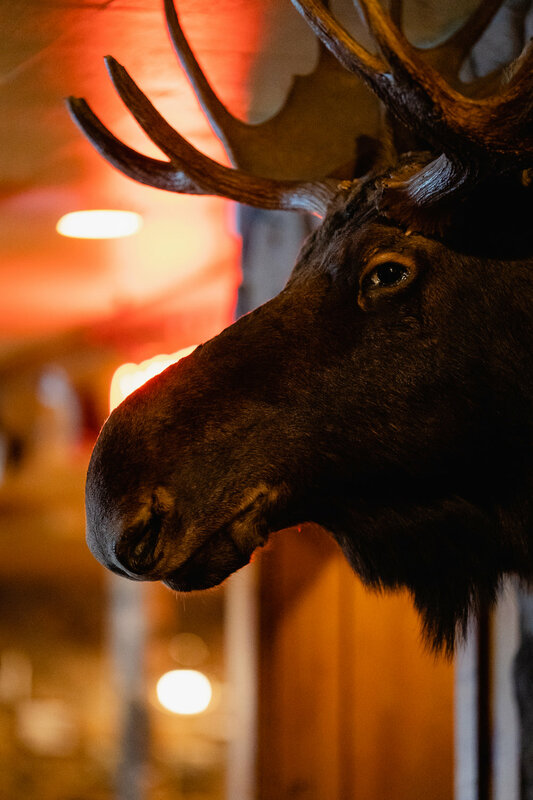 Since 1990, anyone entering The Moose has grabbed the antler handles on the massive front doors, walked into the restaurant and come face-to-snout with Jackson, the most famous and photographed moose in Michigan. Whether you’re in the mood for a Certified Black Angus Burger or filet mignon, The Moose Preserve’s unique menu will satisfy every craving! Be sure to save room for our award-winning, homemade chocolate chip cookies!